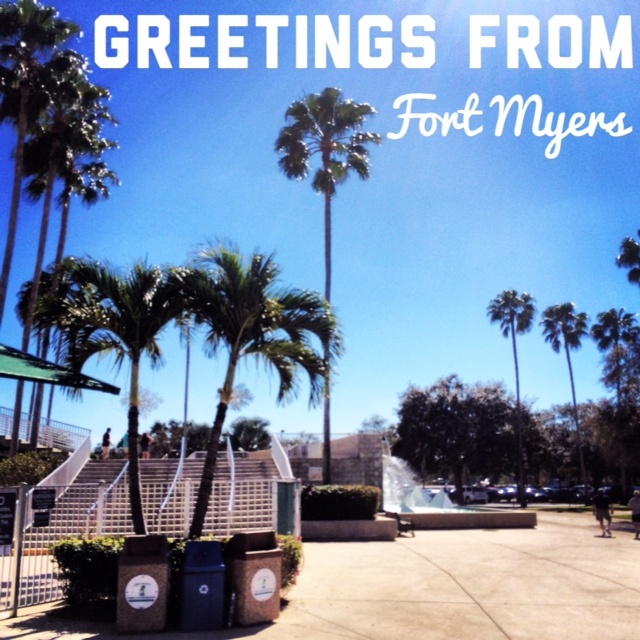 Beautiful start to the day in sunny Fort Myers. 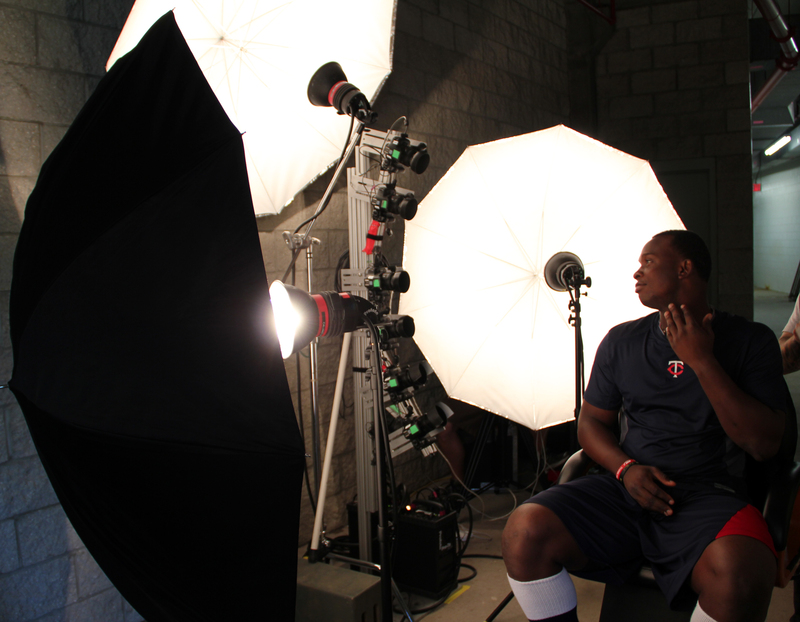 Miguel Sano getting ready to have his photo taken by dozens of cameras at a time for MLBPA partnered video games. 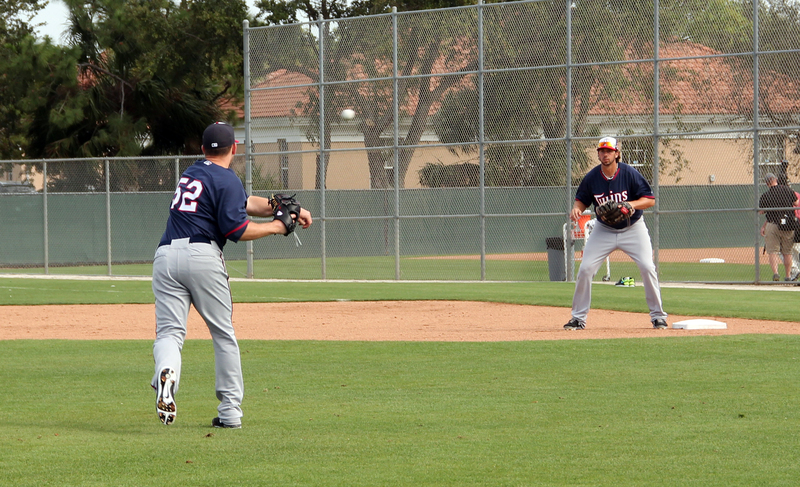 Brian Dozier chasing down a high infield popup. 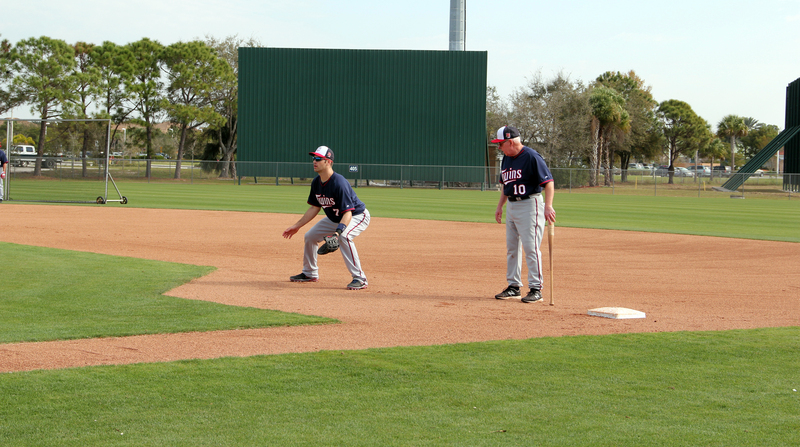 Tom Kelly working with Joe Mauer on his first base footwork. Brian Duensing making the toss to Chris Colabello at first. 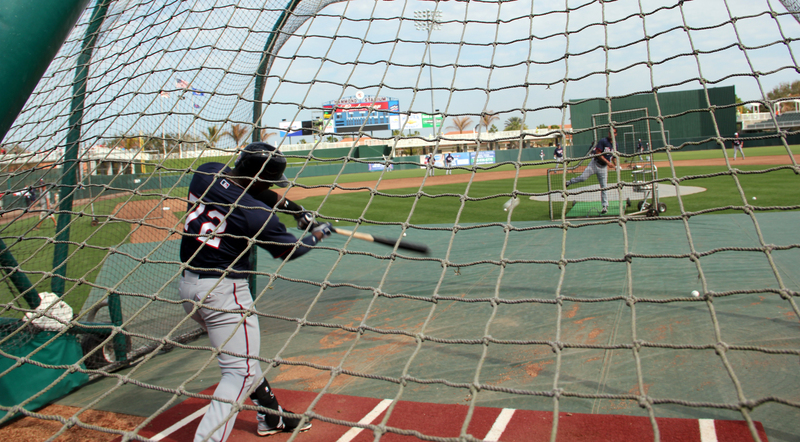 Miguel Sano swings away in the batting cage. 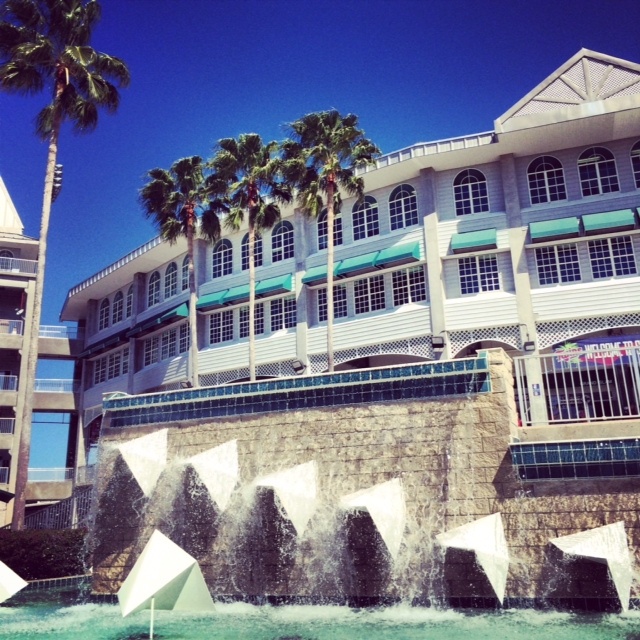 Fountain outside the front of Hammond Stadium. 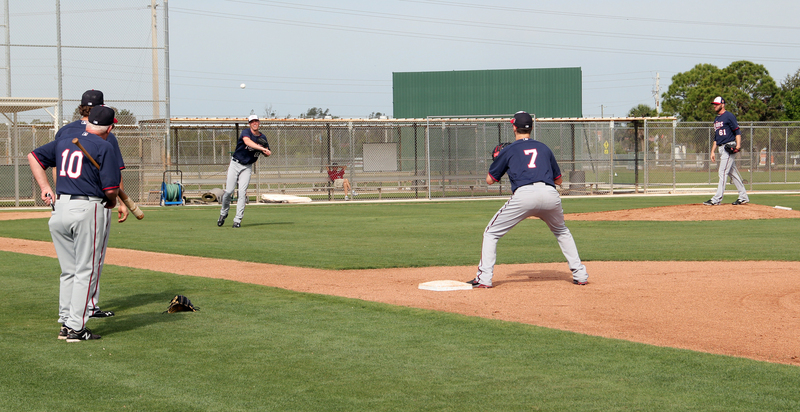 Alex Meyer getting in his PFP work as he tosses to Mauer. 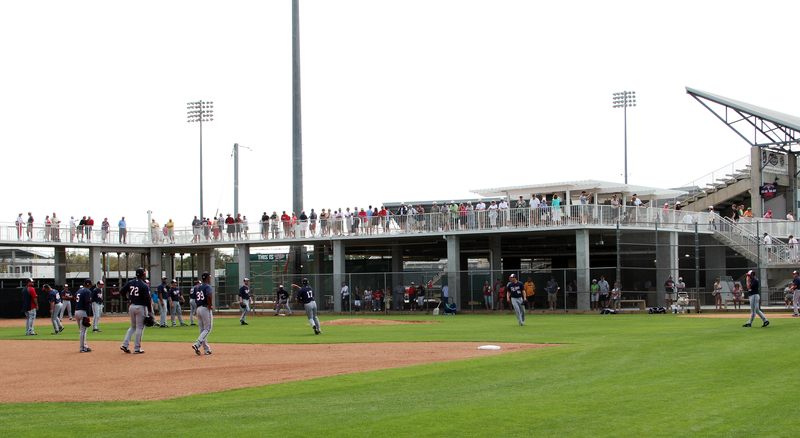 Fans lining the new boardwalk at Hammond Stadium to watch infield practice. 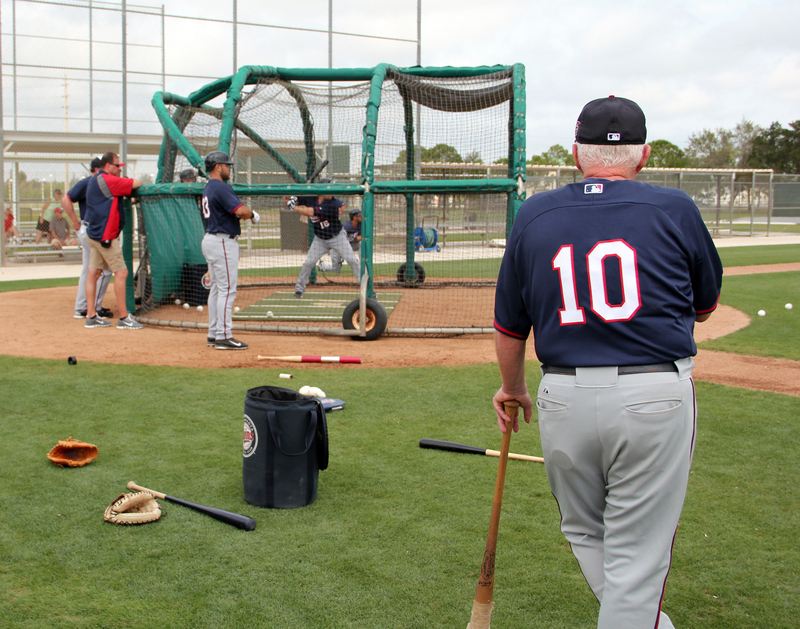 TK looks in and gives his advice to Josh Willingham in the cage. 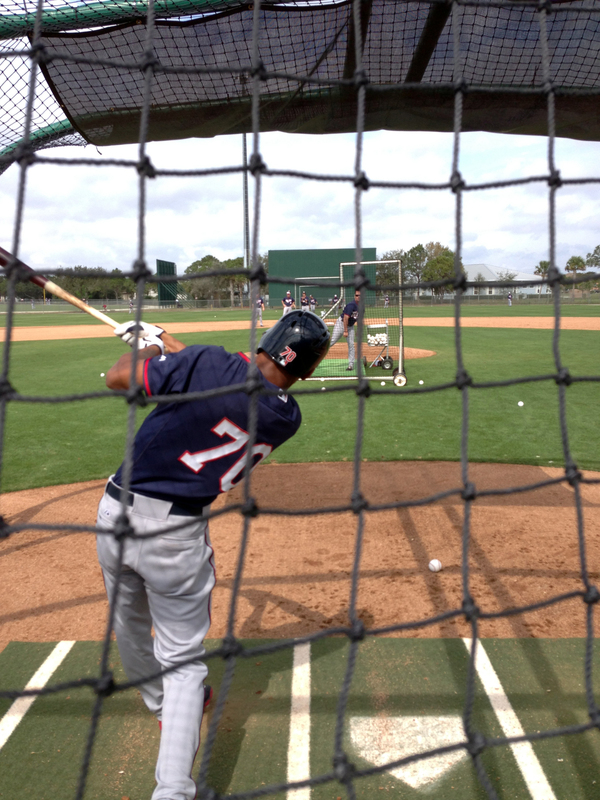 Byron Buxton follows through on his swing. 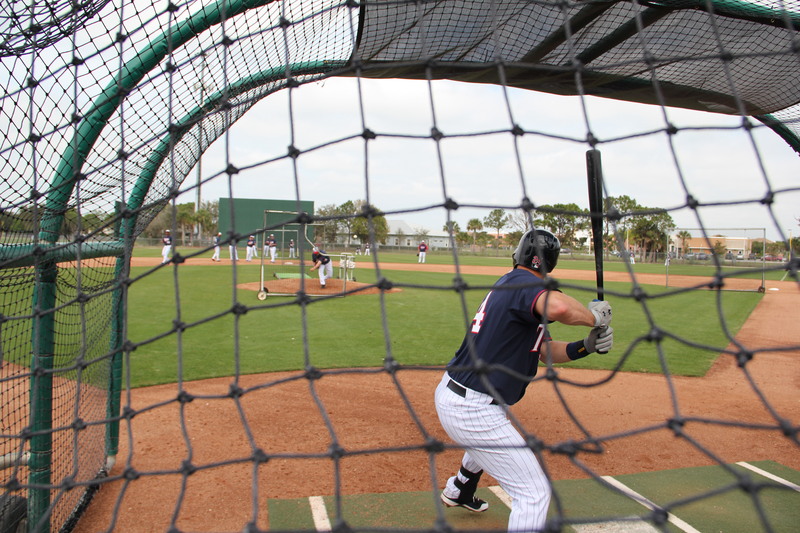 Trevor Plouffe takes a pitch from Glen Perkins. 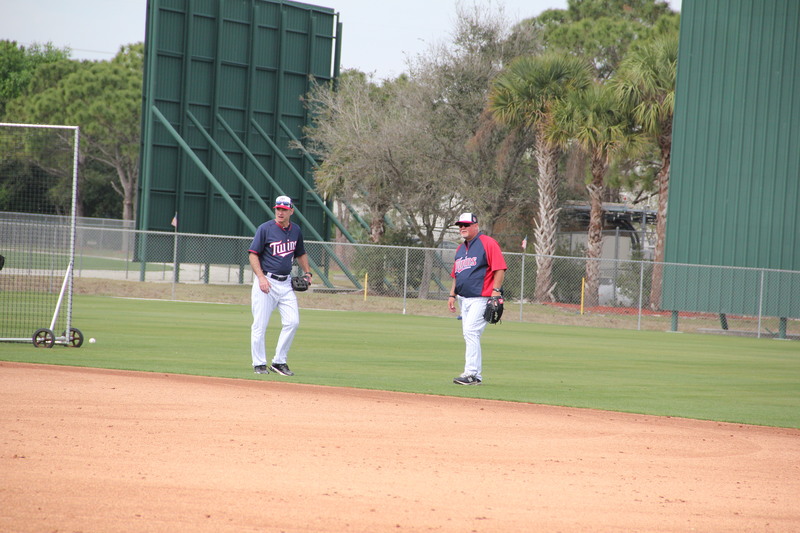 Gardy and Paul Molitor coaching from behind second base. 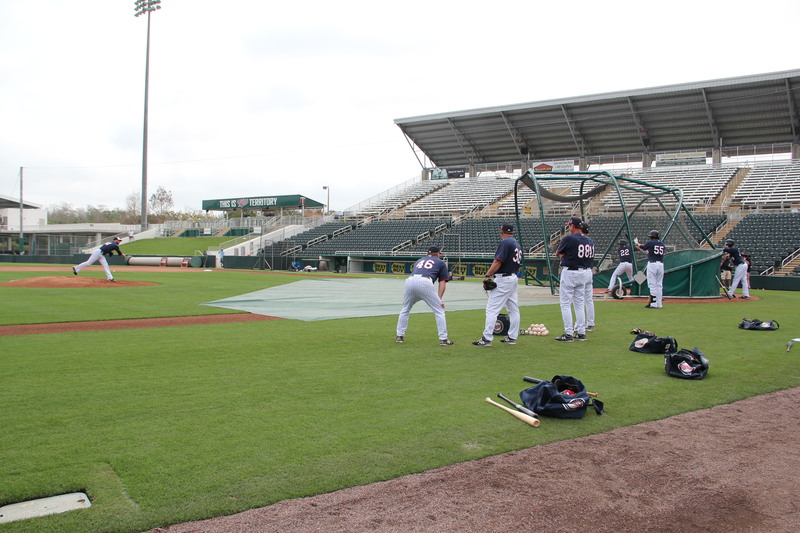 Chris Parmelee, Dan Rohlfing and Jason Kubel taking BP. Kyle Gibson throwing off the mound. 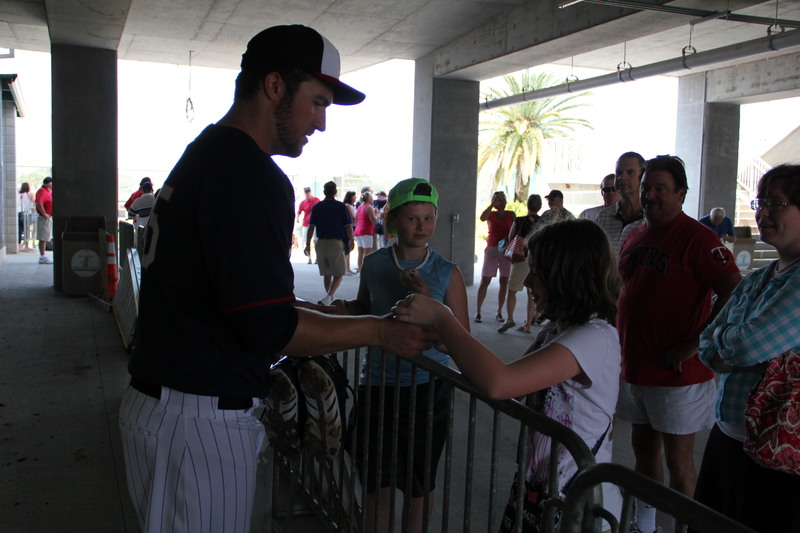 Phil Hughes singing autographs for a few young fans. 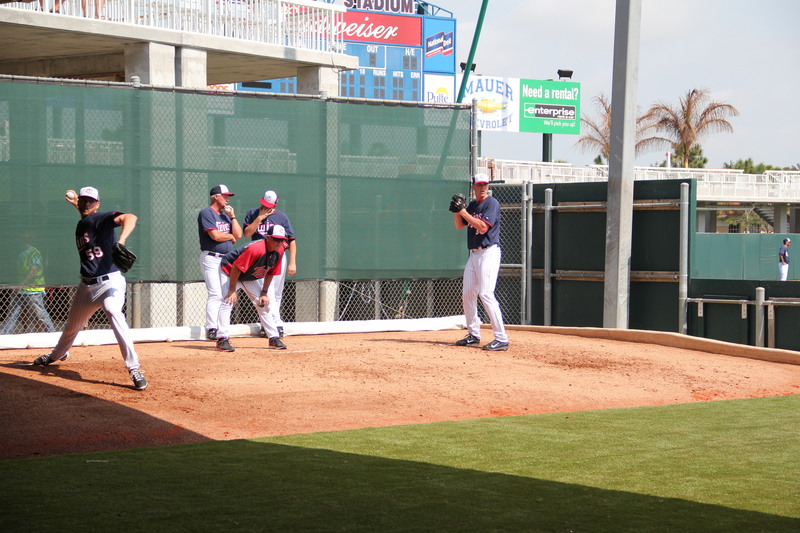 Michael Tonkin and Alex Meyer throwing in the bullpen. 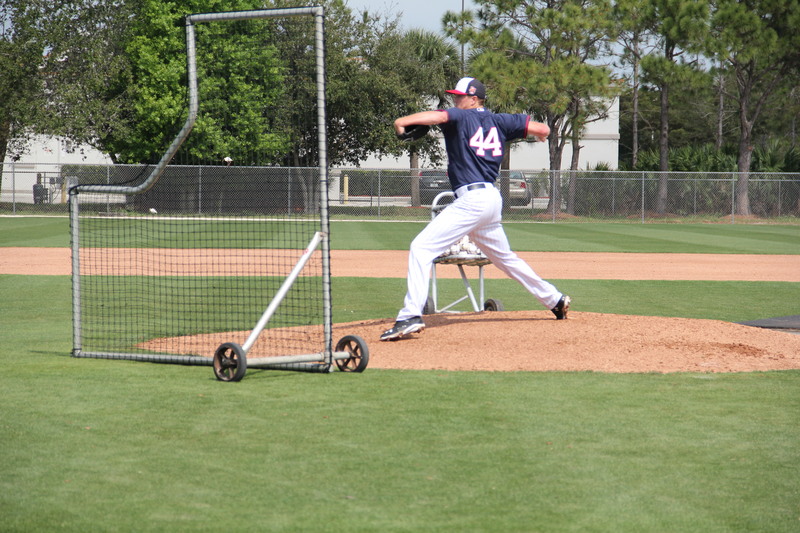 Jared Burton tossing to Twins hitters. Today was also photo day in Spring Training. To see an album of behind the scenes images from the shoot, click here. 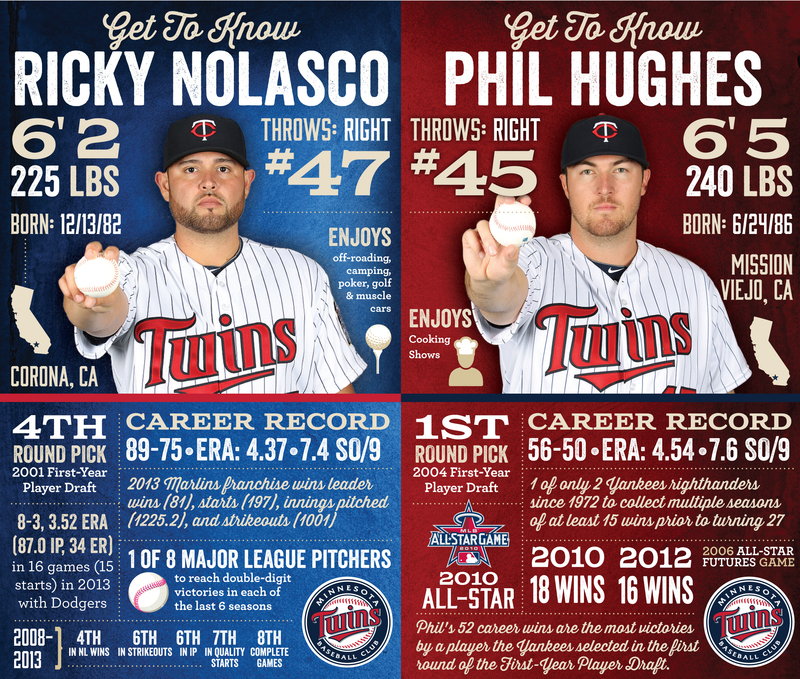 For one more time before the holiday break, the Twins Hot Stove Show fires up with the latest news in Twins Territory. With the Winter Meetings now in the review mirror, hosts Ron Coomer and Kris Atteberry give their insights on what moves have been made, and what to expect moving forward in the offseason with now only 60 days until pitchers and catchers report to Spring Training. Former catcher and current Bench/Catching Coach Terry Steinbach will join the show to give his take on the Twins offseason moves and closer Glen Perkins will call in to continue his “Offseason Odyssey” segment. Every week we ask fans to join the show’s conversation via Twitter. This week’s topic is MLB Hall of Fame voting. Elections to the Hall will be announced Jan. 8, but we want Twins fans to weigh in first on who they think deserve to be enshrined in Cooperstown. Click here to see the full list of Hall of Fame candidates. One fan who tweets their Hall of Fame vote while using #TwinsHotStove will win four tickets to a 2014 Twins game at Target Field. As always, catch the show live no matter where you are in the world. In the Twin Cities, listen on FM 96.3 K-TWIN. In other areas you can listen on your local Twins Radio Affiliate. Or you can listen online on our website. 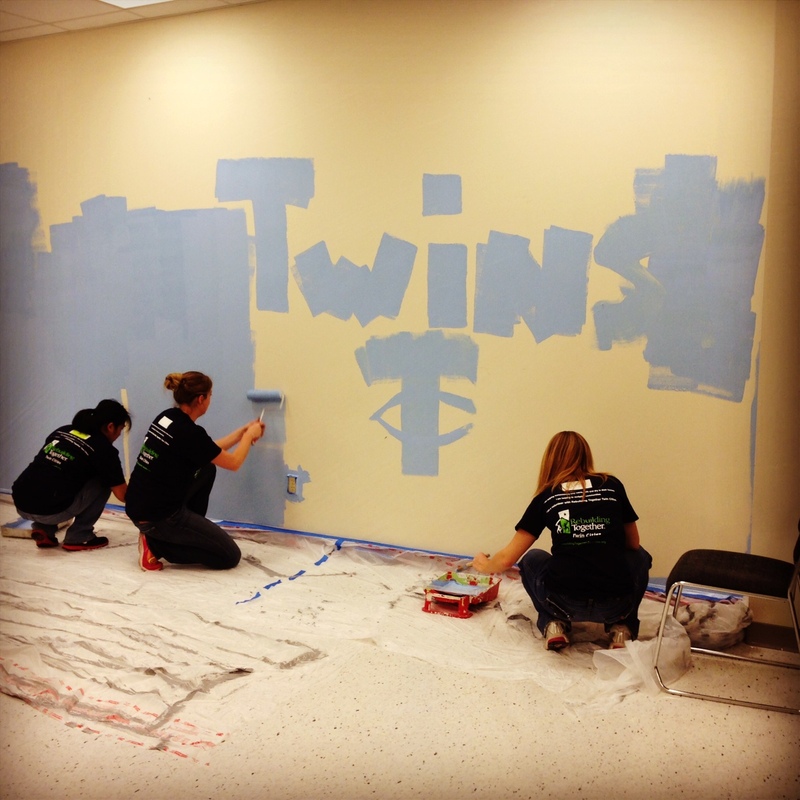 The Twins Holiday Week of Giving rolled along today at members of the Twins Front Office volunteered with Rebuilding Together at the Minnesota Transitions Charter School (MTS) in Minneapolis. 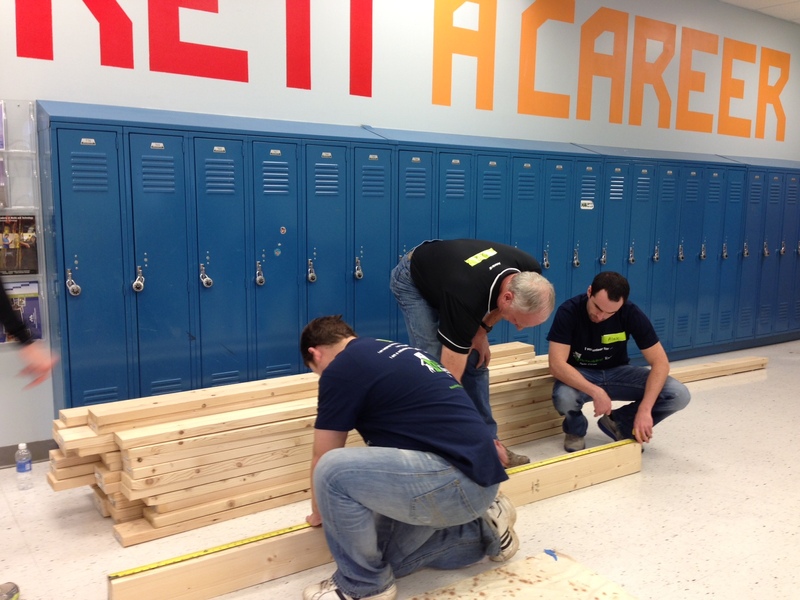 Volunteers worked to create new closet spaces that will serve as a place for family members of students of MTS as a community clothing exchange and food shelf. 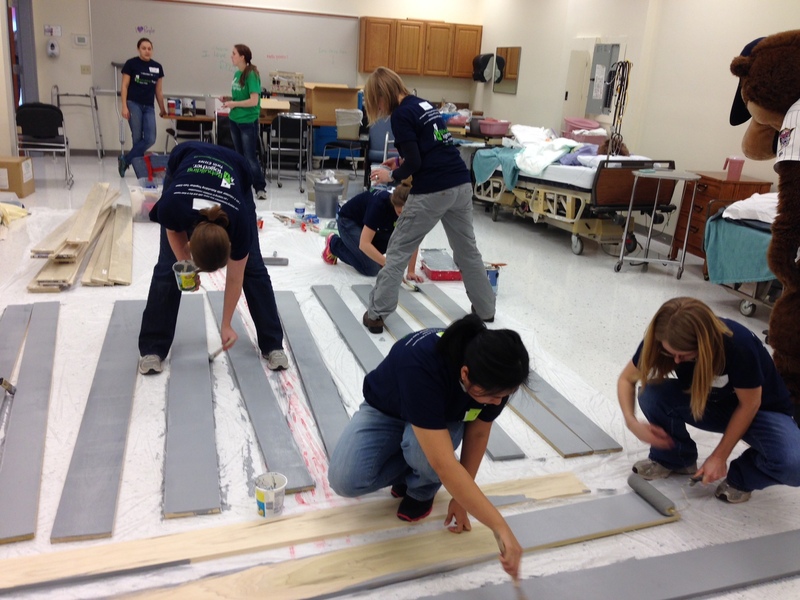 Photos of the event are below, lots of work, but lots of fun too. 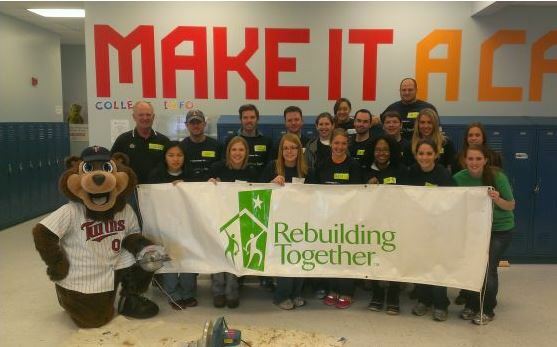 Tomorrow the Twins Holiday Week of Giving continues as members of the Front Office Volunteer at Bridging Furniture Bank in Roseville, Minn. 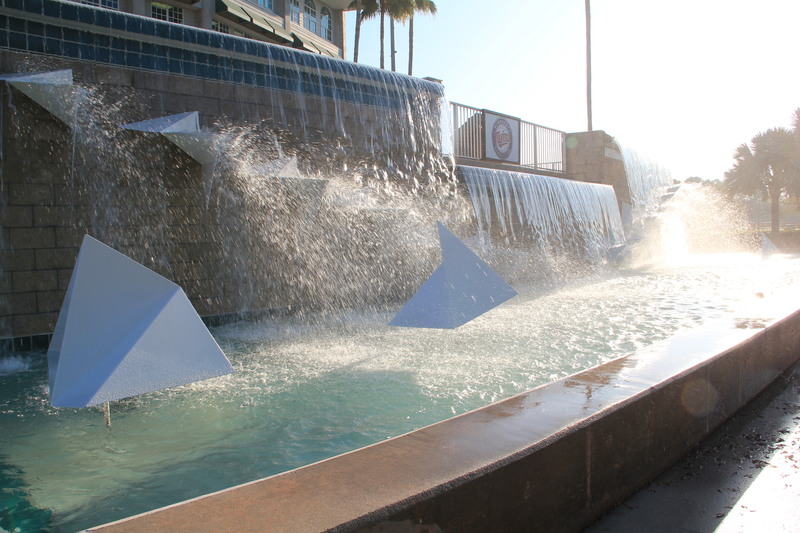 The Winter Meetings in Orlando have the Twins Hot Stove boiling with news. 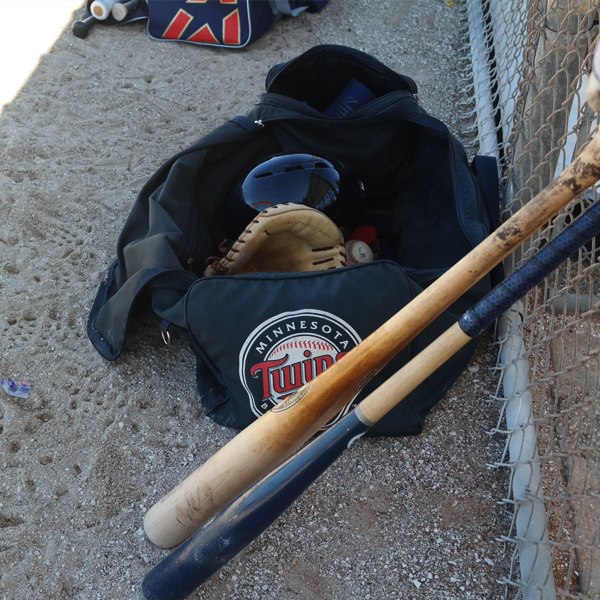 This week hosts Ron Coomer and Kris Atteberry lead off the show talking with Twins GM Terry Ryan to get the latest on all the Twins offseason moves. They’ll also be talking with Bob Nightengale, MLB columnist for USA Today, to get his take on what’s happening at the Winter Meetings. 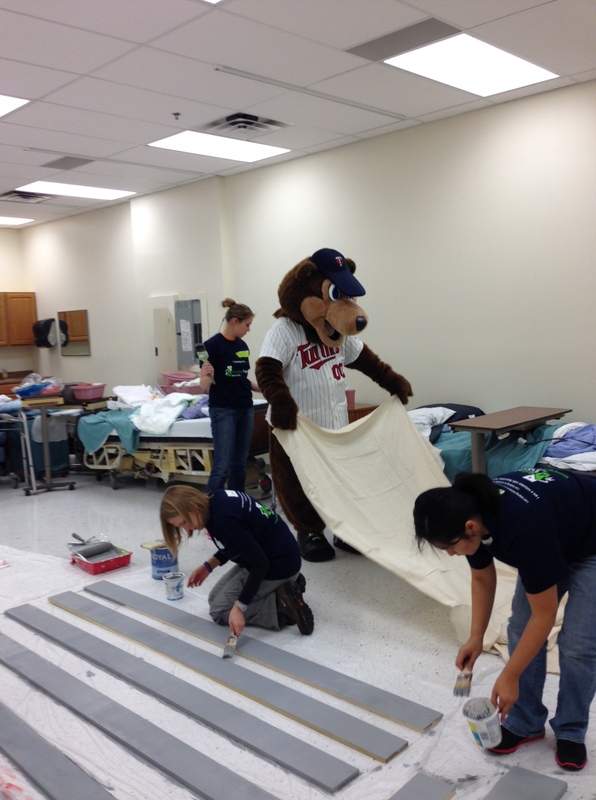 Also on the docket is TwinsFest 2014. Tickets went on sale today and we’ll be giving more insight on what to expect with TwinsFest taking place at Target Field for the first time. As always, we want fans to join the conversation. This week’s Twitter topic is the Twins’ catching situation. 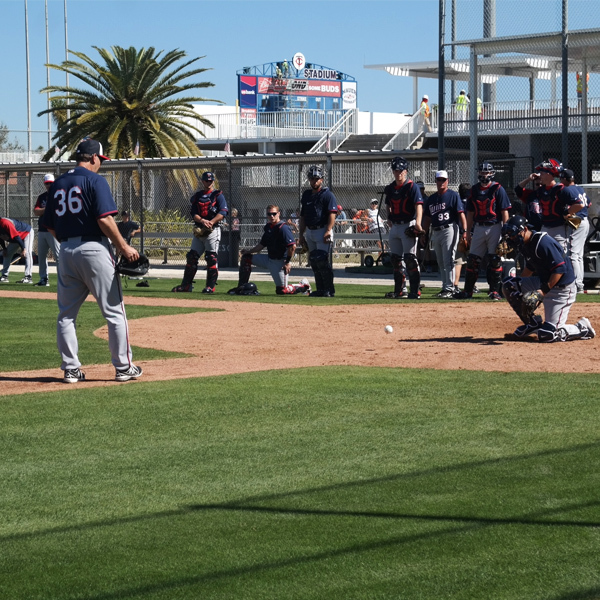 With Joe Mauer officially moved to first base permanently, who do you think should be taking pitches behind the dish for the Twins in 2014? 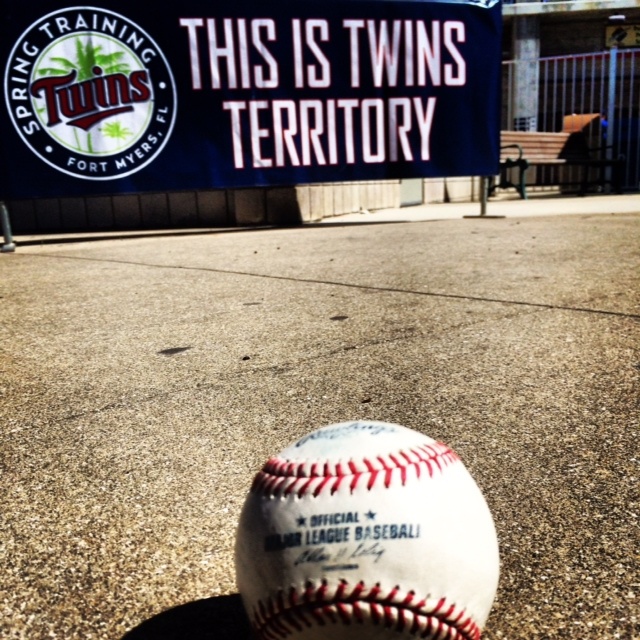 Give your answer using #TwinsHotStove for a chance to win four tickets to a 2014 Twins game at Target Field! Catch the show live no matter where you are in the world. In the Twin Cities, listen on FM 96.3 K-TWIN. In other areas you can listen on your local Twins Radio Affiliate. Or you can listen online on our website. The temperatures continue to drop, but the Twins Hot Stove Show is just heating up. Twins GM Terry Ryan shakes hands with new Twins starter Ricky Nolasco during his introductory press conference on Tuesday. The last week has been filled with news about the Twins acquiring starting pitching, and that will be the focal point of this week’s show, which will air Wednesday night from 7-8 p.m. CT on FM 96.3 K-TWIN, across the Twins Radio Network, and on twinsbaseball.com. Hosts Ron Coomer and Kris Atteberry will kick off the show talking with Twins GM Terry Ryan, then new starter Ricky Nolasco joins the program. They’ll also chat with Glen Perkins to continue his “Offseason Odyssey” segment and get his thoughts on the Twins starting rotation moves. As always we want fans to join the show’s conversation via Twitter. 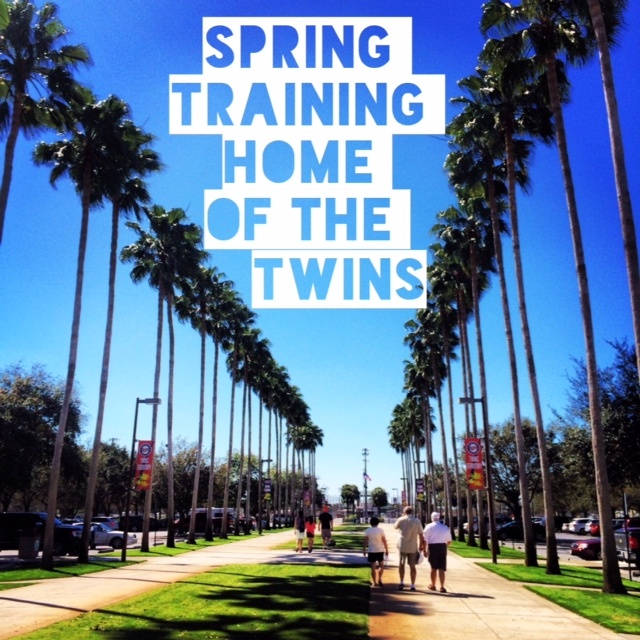 This week we want to hear what you think should the starting rotation should be for the Twins in 2014? We’ll be giving away four tickets to a 2014 Twins game to one fan who tweets their Twins starting five with #TwinsHotStove. While there are certainly new pitchers in the mix, below is the final stats for the 11 pitchers to start for the Twins in 2013. 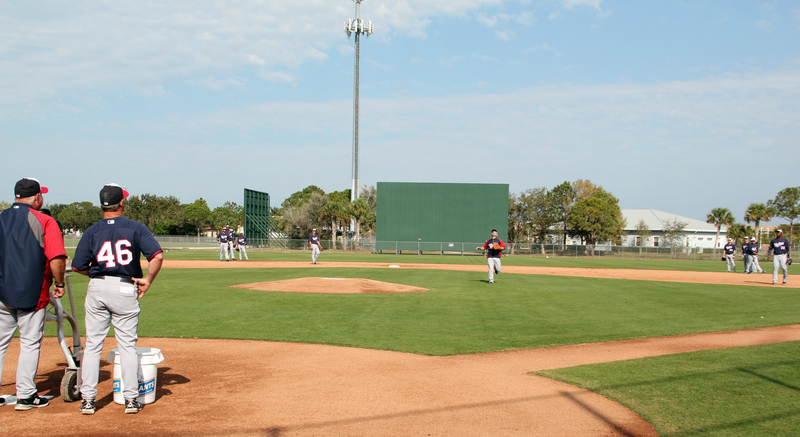 Keep the #TwinsHotStove tweets coming and listen in to see if Kris and Coom agree with your starting rotation picks. Update: Miss the show? No problem, listen to the replay. 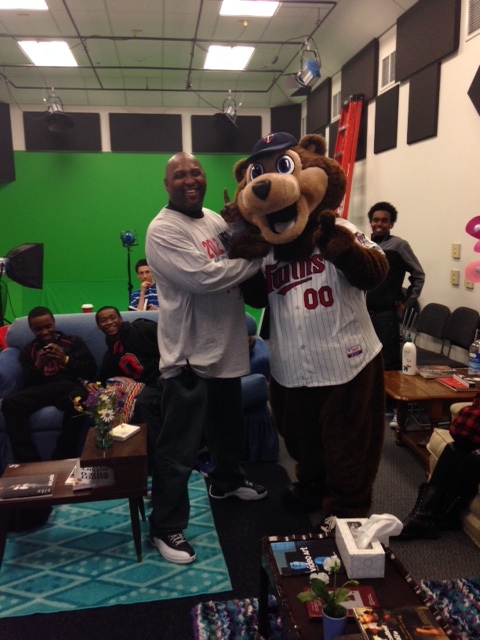 The fourth installment of the Twins Hot Stove Show is this Wednesday, Nov. 27 from 7-8 p.m. CT. Hosts Ron Coomer and Kris Atteberry will be talking with Twins second baseman Brian Dozier about what he’s got going on in the offseason, other than working on his magnificent mane. Sorry ladies, Dozier is getting married in early 2014. 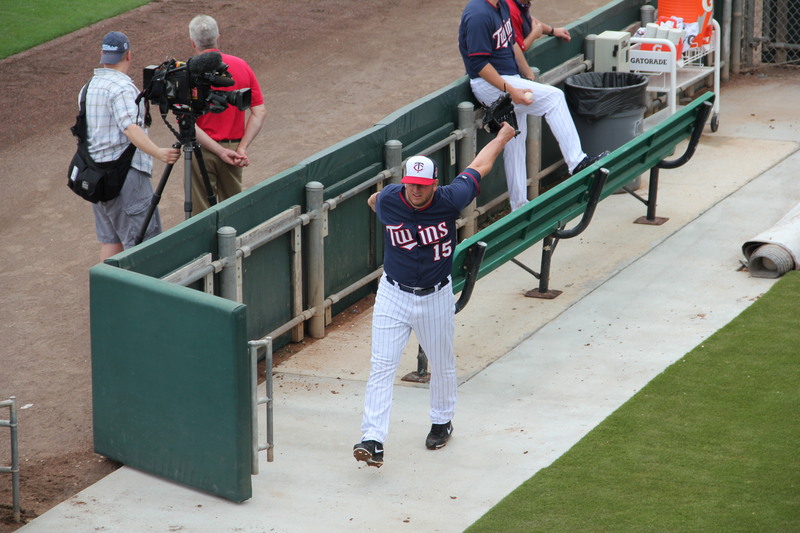 Twins closer Glen Perkins will call in to continue his “Offseason Odyssey” segment. We’ll also be giving updates on the Twins offseason progress, and talking about the Twins Hall of Fame vote. You can join the conversation by tweeting who you would like to see in the Twins Hall of Fame and by using #TwinsHotStove and #VotePlayer (e.g. #VoteGladden, #VoteSmalley, etc.). See the full list of who to vote for here. 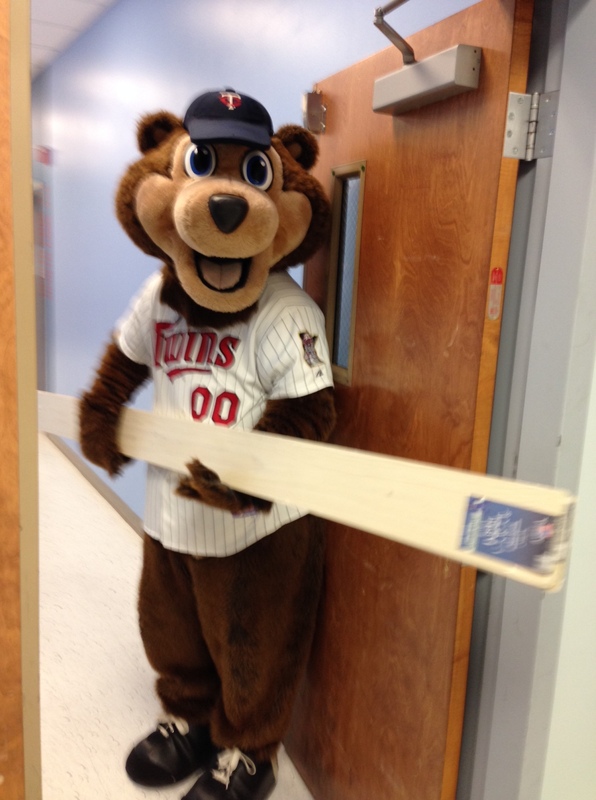 One fan who tweets their Twins Hall of Fame vote will win four tickets to a 2014 Twins game at Target Field. Atteberry and Coomer will announce the winner on air near the end of the show.